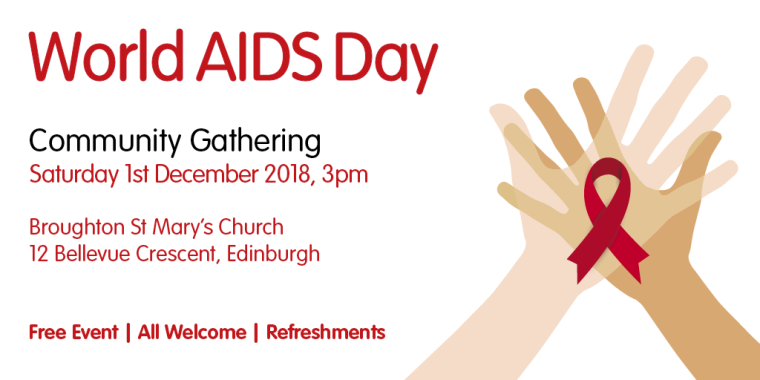 Waverley Care will be hosting a Community Gathering on World AIDS Day Saturday the 1 December at 3.00pm, offering the opportunity for reflection and remembrance. We’re delighted to be joined by Loud and Proud, and our own Tartan Ribbon Community Choir who will both perform at the event. This year is the 30th Annual World AIDS Day when people around the world come together to help increase awareness of HIV, challenge stigma, raise money and improve education. Many people also use the day to remember those who have died of AIDS. Big anniversaries offer the opportunity to reflect on the progress that has been made in the fight against HIV over the past three decades. Today in Scotland, HIV is considered a manageable long-term health condition, with treatments allowing people to live long, healthy lives. However, despite improved medical understanding, the condition continues to affect some of the most vulnerable people in our communities, often driven by stigma. We hope that you will be able to join us and look forward to seeing you there.